Board index ‹ Georgia River Fishing Forums ‹ Bream Fishin', Catfishin', and Cookin' Em Up! 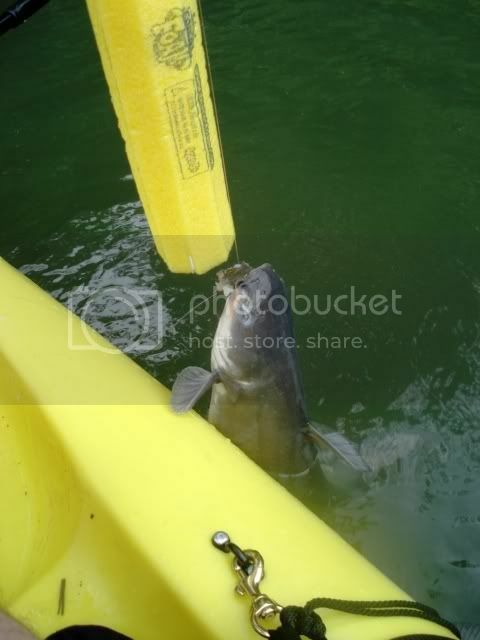 Come here to discuss fishing for all types of panfish and catfish. We also want to hear your favorite fish recipes too! So I made me a half-dozen catfish "jugs" with pool noodles and coat hangers. I wrote my name and address, dropped three ft. of 25 lb mono and a circle hook on each one, baited them with cut-up bream, and threw them in the river. Here's what happened over the next ten minutes. Having gotten enough for dinner for the family(3 fish between 3-5 lbs), I went with the long rod. 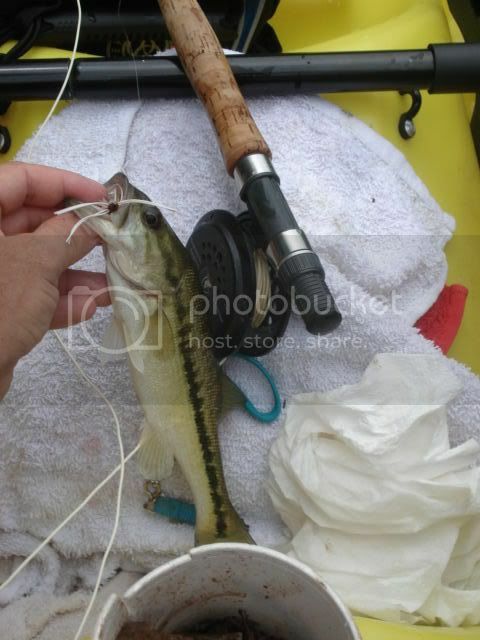 Here's one of many small bass and bream I caught. Fly fishing from the kayak was much easier than I thought it would be. Actually, being down low on the water helped with casting under overhangs. Some fish to remember. Some fish to forget. Looks like some good eatin! Inventive use of pool noodles as well. I hope you ate that spot also. That is the coolest "jug" I've ever seen. Great idea using the pool noodles...I will give that a try (I always have to replace the jugs I use because I can't seem to stop stepping on them! Mind if I borrow your invention? Looks like a quick way to fill a dinner table. A bad day fishing is better than any good day at work. Is jug fishing legal in Georgia? It is amazing how easy it is to obtain information if you look for it on a web site called google. I googled Georgia Fisihing Regulations. The following methods are legal fishing methods. • There is no restriction on the number of poles and lines to fish for game fish except: fishing for trout - one pole; fishing on Public Fishing Areas - two poles; and sport shad fishing - two poles. • Anglers using more than two poles and lines to fish for shad must abide by commercial shad regulations. 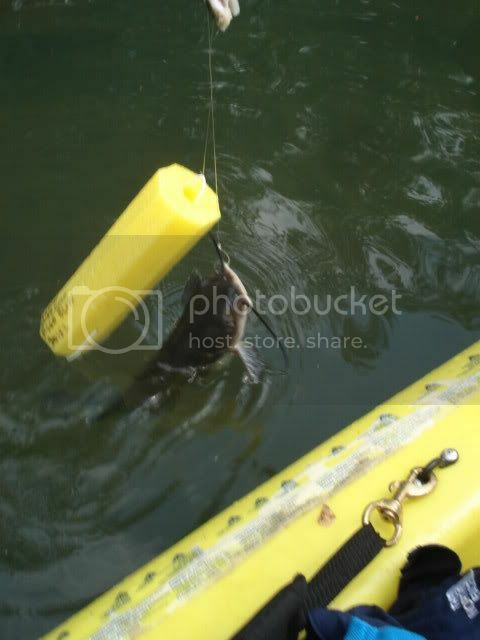 • Landing nets may be used to land fish legally caught. • Game fish may be used as live bait (where live bait is legal) if they are taken legally and you do not exceed daily creel and possession limits. 3. Attended regularly and removed after the completed fishing trip. Unmarked or unattended trotlines will be confiscated by DNR. It is unlawful to use any sport trotline within one-half mile below any lock or dam. • Only catfish and nongame fish (year-round) and American and Hickory shad during shad season may be taken with trotlines. • Trotlines and jugs are not permitted on Lake Tobesofkee or any State Park lake. Use of 51 or more hooks is considered Commercial Fishing (see pg. 15). • "Spearing" is the use of a handheld spear or similar device and the use of a weapon, other than a firearm, which propels the spear to which a wire, rope, line, etc. is attached and secured to the weapon or the person using the weapon. • Only nongame fish, and catfish as described below, may be speared in freshwater and are not to be sold or used for commercial purposes. 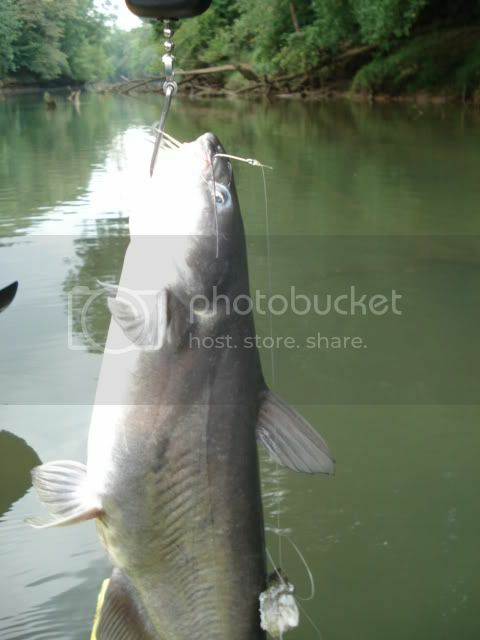 • It is illegal to spear game fish and all species of catfish, except as described below. • The taking of flathead and channel catfish by spear may be done any time day or at night by light in the Savannah River and its tributaries and impoundments in the Savannah River Basin only. • All spears must have barbs or other devices to recover fish and must be attached to a line secured to the person using the weapon. • A sport fishing license is required to spear fish in Georgia. 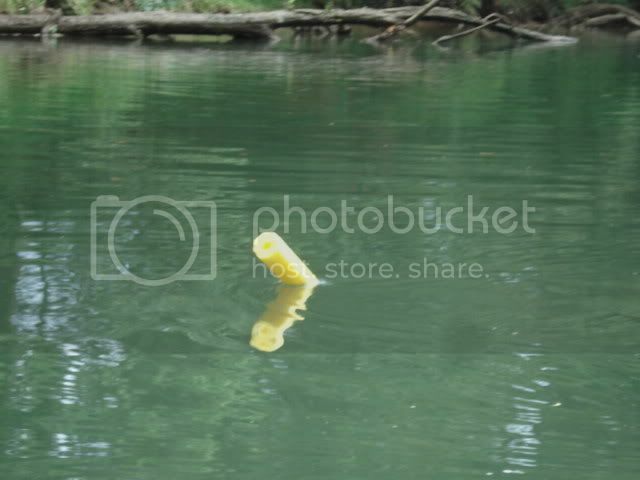 • The person spearing fish must be completely submerged. • Only nongame fish less than 5 inches in length may be taken using a minnow seine and are not to be sold or used for commercial purposes. • All other fish & eels taken in minnow seines must be released immediately unharmed into the water. • A minnow seine must be less than 20 feet in length and have a 3/8 inch or less mesh (square or diameter). • Minnow seines may not be used in designated trout waters. • Dip nets and cast nets may be used to take threadfin shad, gizzard shad, and blueback herring for bait except in State Park lakes. • Bow nets are considered sport shad fishing gear and shall have a minimum legal size of 31/2 inches stretched mesh. • Possession of a sport fishing license is required to bow fish in Georgia. • Arrows must be equipped with barbs or similar devices for recovering fish and must be attached to the person or bow by a line sufficient for recovering the arrow and fish. • Poisonous or exploding arrowheads are illegal. 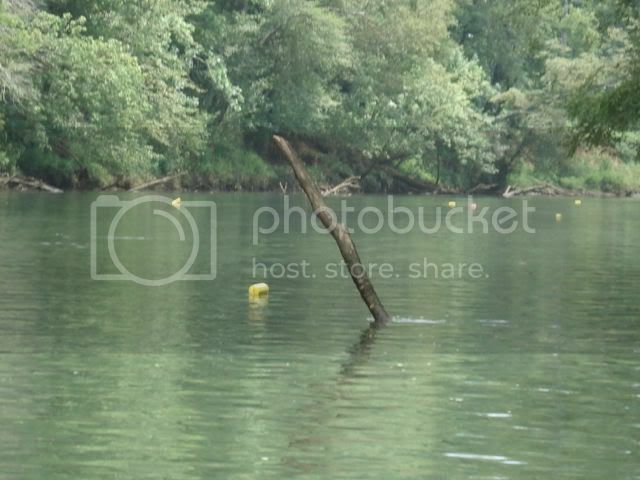 • Arrows cannot be discharged into the water closer than 150 feet to anyone engaged in any other means of recreation. • Legal hours for fishing with bow and arrow are from sunrise to sunset, except that fish (nongame) may be taken at night while using a light in reservoirs over 500 acres in size. • Any game fish with an open wound possessed by a person bow fishing will be considered evidence of taking fish illegally. 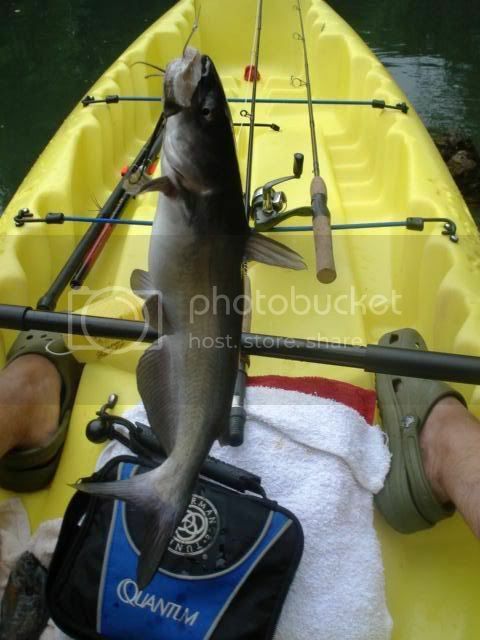 Catfish (channel & flathead): Fish may be taken in the Savannah Riv. and its tributaries and impoundments in the Savannah Riv. basin by bow and arrow any time during the day or at night by the use of a light. • Flathead, channel and blue catfish may be taken by hand, without the aid of any device, hook, snare, net or other artificial element and without the use of any scuba equipment, air hose or other artificial breathing apparatus. 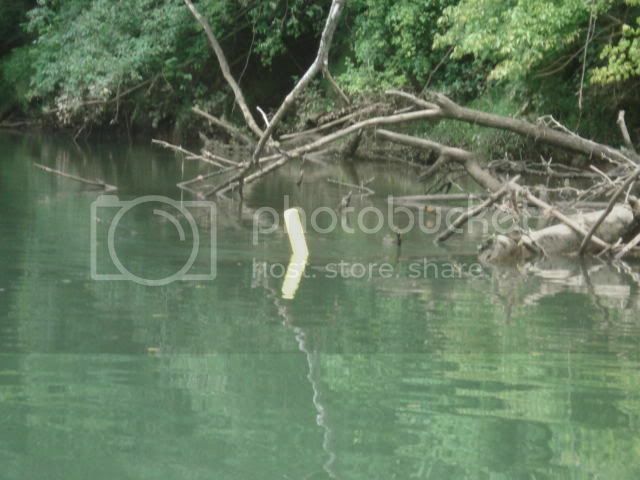 Noodling is legal in the fresh waters of the state from March 1 - July 15 each year. A sport fishing license is required to noodle (grabble) in Georgia. It is illegal to take game fish (other than the catfish species listed above) and all other species of fish by hand. It is not legal to alter any natural or man-made features in order to attract or capture fish by hand. It is not legal to raise any part of a natural or artificial device out of the water to aid in the hand capture of enclosed fish. • Possess or use live blueback herring for bait in all fresh waters except the following: Lakes Chatuge, Juliette, Lanier, and Nottely; and the Altamaha River watershed downstream of the following: Juliette dam on the Ocmulgee River, Lake Juliette dam on Rum Creek, Lake Tobesofkee dam on Tobesofkee Creek, Lake Sinclair dam on the Oconee River; and watersheds of all other streams that flow directly into the Atlantic Ocean. For maps of restricted waters go to www.gofishgeorgia.com & see "Freshwater Regulations" section. 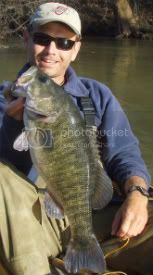 • Fish for game fish, except American shad, hickory shad, channel catfish, blue catfish, or flathead catfish, by any means other than pole and line. • Take any fish from public freshwater by any method other than the methods listed on this page. Snagging fish is illegal. • Use electronic devices, explosives, poisons, or firearms to take fish. • Stock or release fish or bait into any public waters except the water from which it was taken. What size bream do you use for this type of catfishing? I'm sure it's a new-b question...but hey...I'm a new-b. Just small little 3-4"ers on a big hook? I spent the better part of my childhood hanging out the bow of a jon boat grabbing jugs. We did the pool noodle thing a few years bag and it is much better. We used braided line on them and i like it much better than mono. It is tough and lasts long. What type of toys should I buy for my swimming pool keeping in mind that I have an 8-years and 5-years children?? I am also going to organize a pool party so kindly suggest me a few good toys. I have just made a swimming pool at my farmhouse. I want to buy some toys for the pool. Can anyone tell me what type of toys should I buy? Please suggest me some toys. Return to Bream Fishin', Catfishin', and Cookin' Em Up!